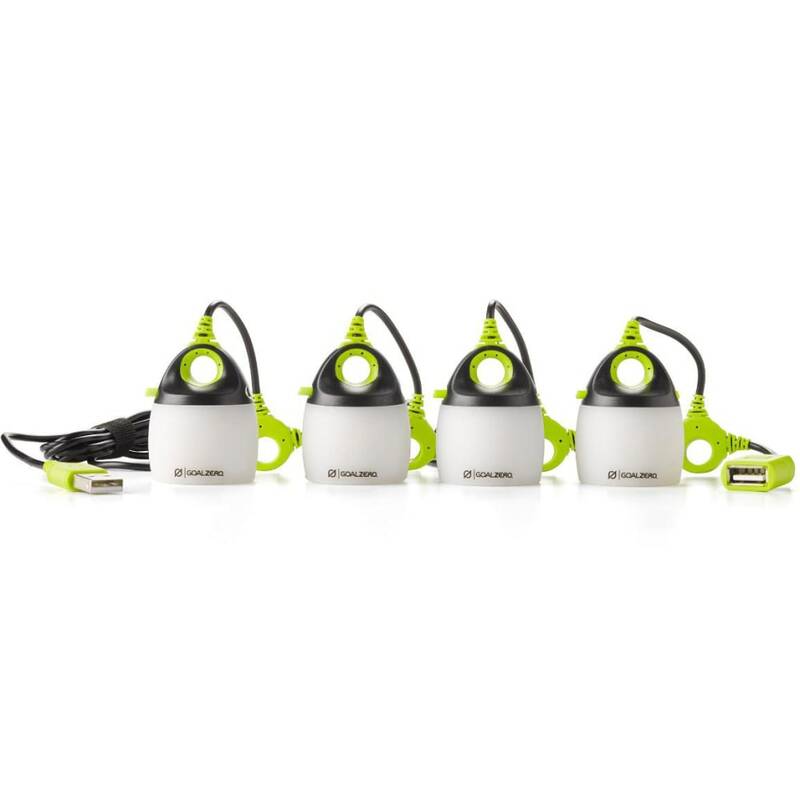 Bright and fun, four 110-lumen LED lights are perfect for bringing the party (and light) to the campsite. Four 110 lumen LED lights with colored and white shades included. Collapsible diffuser for area or lantern light. Chainable with up to two Quads for additional light. High/low setting allows for long runtimes. Pairs well with Goal Zero Flip 30 or Venture 30 Rechargers and runs from any USB port. Includes a handy mesh bag and carabiners. Weight w/ Batteries: 8.8 oz.